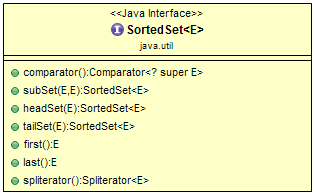 A SortedSet is a Set that maintains its elements in ascending order, sorted according to the natural ordering or according to a Comparator provided at SortedSet creation time. The code for the SortedSet interface follows. This example demonstrates the few API of SortedSet Interface using TreeSet implementation class. // Returns the first (lowest) element currently in this set. // Returns the last (highest) element currently in this set. // null if this set uses the natural ordering of its elements. Frome above diagram, SortedSet interface extends Set interface so it inherit all the methods from all the interface hierarchy. Comparator<? super E> comparator() - Returns the comparator used to order the elements in this set, or null if this set uses the natural ordering of its elements. E first() - Returns the first (lowest) element currently in this set. SortedSet headSet(E toElement) - Returns a view of the portion of this set whose elements are strictly less than toElement. E last() - Returns the last (highest) element currently in this set. 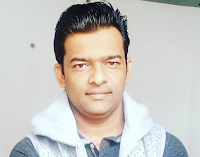 default Spliterator spliterator() - Creates a Spliterator over the elements in this sorted set. SortedSet subSet(E fromElement, E toElement) - Returns a view of the portion of this set whose elements range from fromElement, inclusive, to toElement, exclusive. SortedSet tailSet(E fromElement) - Returns a view of the portion of this set whose elements are greater than or equal to fromElement. SortedSet interface extends Set interface so it inherits all the methods and properties of it. 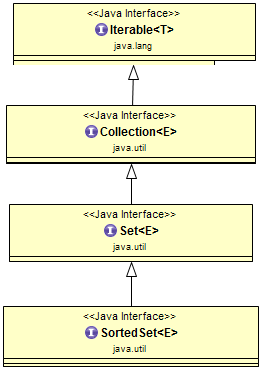 The SortedSet interface can be implemented using all the Set Interface Implementations. We will learn SortedSet interface with TreeSet implementation class with examples. There is a separate post for TreeSet implementation class.